3 min read . 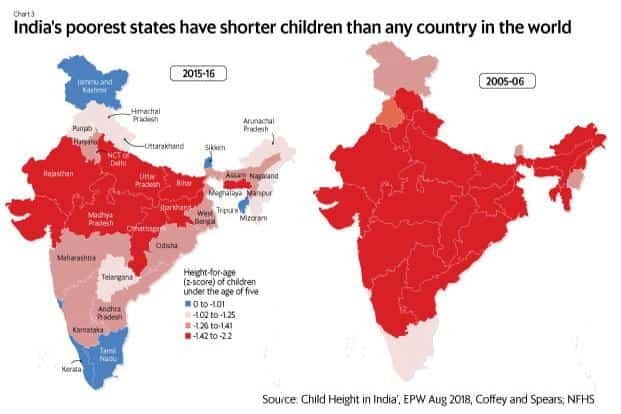 Updated: 06 Dec 2018, 10:45 AM IST Rukmini S.
While inter-country differences in height are often commonly believed to be on account of genetics and ethnicity, the World Health Organization (WHO) notes that “the effect of ethnic differences on the growth of infants and young children in populations is small compared with the effects of the environment". 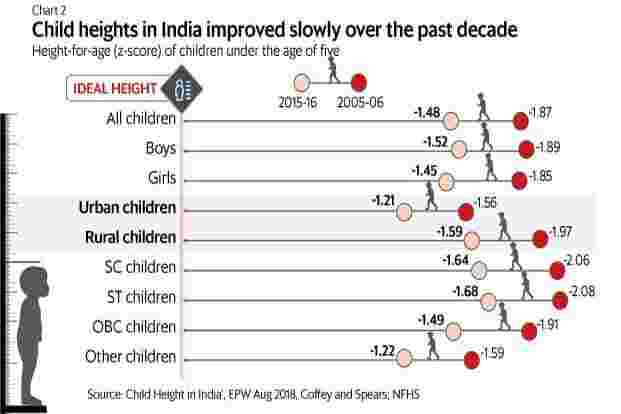 Child height is a particularly important indicator because a baby’s height has much to do with the nutrition and opportunities she has access to in early life, and is strongly predictive of cognitive development, and hence, lifelong outcomes including employment and income. 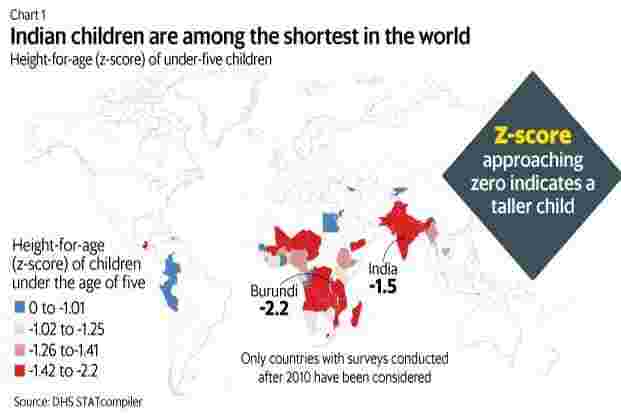 A population’s height is measured in relation to what that population’s height could be in optimal conditions—optimal family health, food and sanitation. 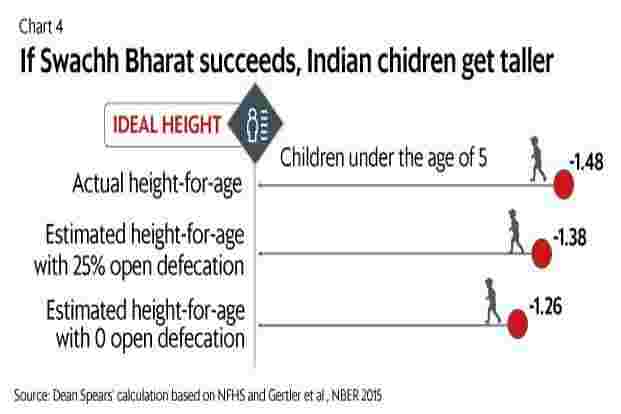 A child or adult’s deviation from that ideal is measured statistically in “standard deviations" of height-for-age or z-scores.